I’m back from a great trip to ICA! The conference was filled with inspiring and informative panels. And it was great to see colleagues and friends! I want to take a quick minute to share a post summarizing a great panel I attended. Since Mary Joyce (@MetaActivism) summarizes the post here and the capabilities of the software, I thought I’d just let her do the talking. 🙂 But first, a quick overview. The panel was “Integrating Social Media Data Into Communication Research Using Application Programming Interfaces (APIs).” I attended it Friday morning and was fortunate enough to get a chair. The room was packed with dozens of people sitting on the floor or standing in the back or along the wall. 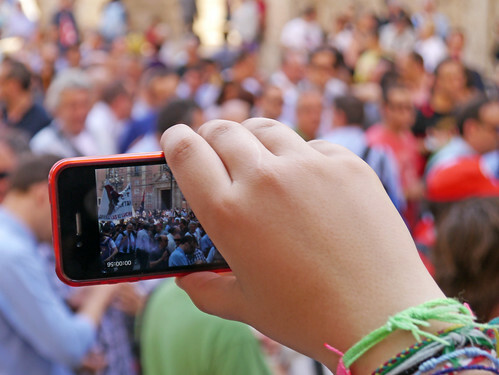 It seems interest in social media data in the field of communication research is on the rise. Here’s a great summary of the presentations by Mary Joyce over at Meta-Activism.org. 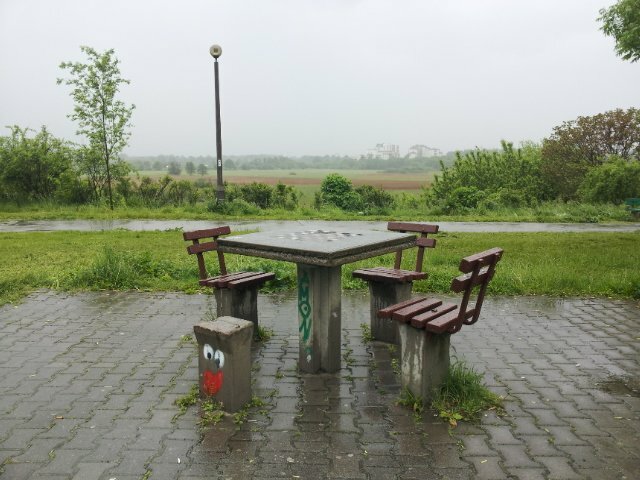 Back from Poland and off to ICA 2014 in Seattle! Hope everyone’s week is off to a great start! It is very busy here. Kelin and I just returned from a weeklong trip to Poland. We went to Krakow and Warsaw. Dalisay, F., Kushin, M.J., Yamamoto, M. (May, 2014). The politically demobilizing role of conflict avoidance for participation, efficacy, and attention to information sources. Paper accepted for presentation at the annual conference of the International Communication Association, Seattle, WA. Location & Time : Sat, at 4:30pm, in the Metropolitan Ballroom. Just for fun, I thought I’d share just a few of the many photos we took during our trip to Poland. I wish I remembered the names of all of the amazing historic buildings we saw to go along with the photos. I highly recommend visiting Poland, especially Krakow! For each city, I also listed some highlights. Some photos go along with the highlights. Click the photos to enlarge them. The Schindler factory (made famous by the Schindler’s List movie) – Although we didn’t get to go into the factory (which is now a museum), just being able to see it from the outside was an amazing experience. Krakow Jewish Ghetto – We went through the location where the Nazis forced the Jewish population of Krakow to live in 1 of 2 walled in sections across the river from Krakow. This was near the Schindler factory. 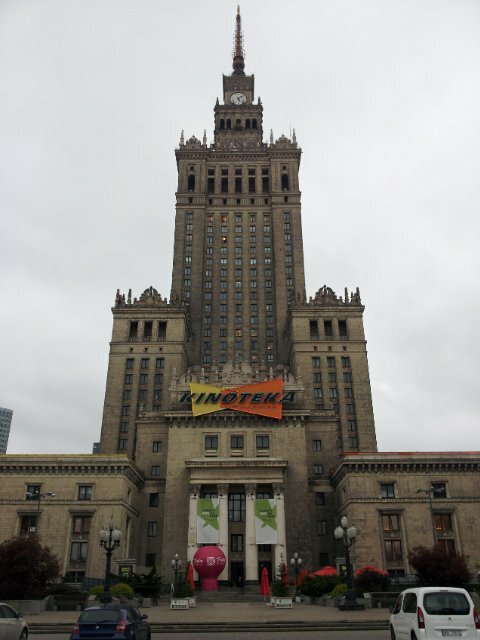 Nowa Huta and the “Communist Bus Tour” – where we learned a ton about the history of the fight against communism in Poland, and got to tour Nowa Huta (the city of the New Steel Mill) which was a planned socialist city. I didn’t know much about how Poland won its power and the years of protest and bloodshed that led up to it, a good bit of which happened in Nowa Huta and during strikes in that city. Interestingly, a town square that was once called Stalin Square was renamed to Ronald Reagan square to honor his fight against communism. photo: in the distance you can see what looks like a large field. This was supposed to be a made man lake in Nowa Huta. But the USSR never completed it due to a lack of funds. However, some maps showed that the lake was there. 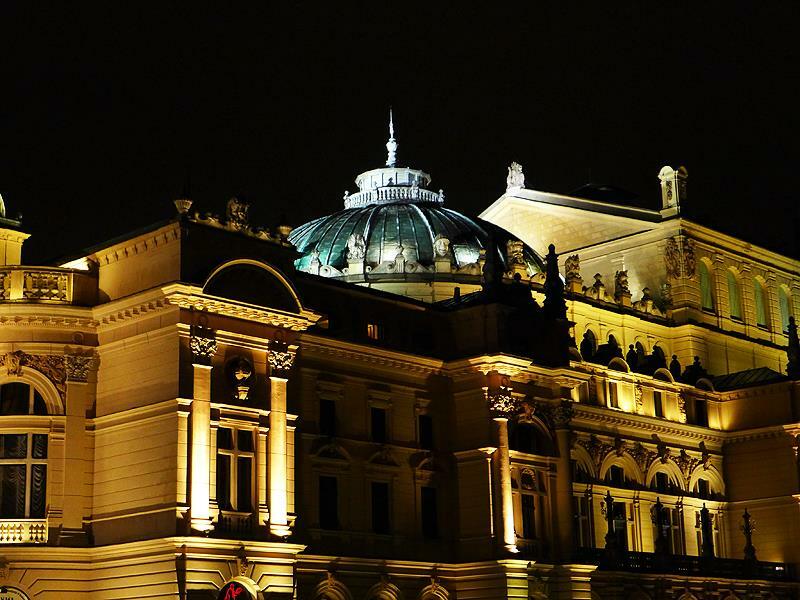 Photo: The Palace of Culture and Science, the tallest building in Poland was a gift to Poland from the Soviet Union in the 1950s. It used to be named after Stalin. 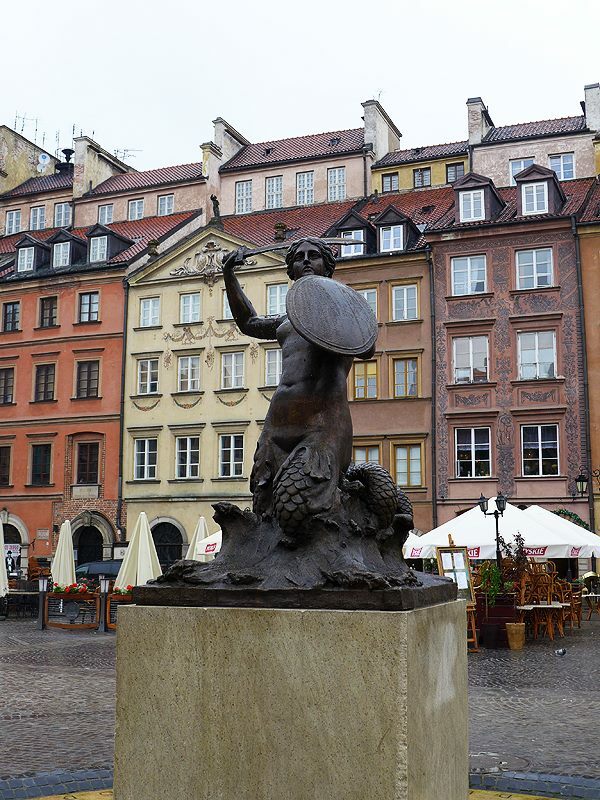 photo: Mermaid statue in the old town square in Warsaw, 2) more of the old town’s center. The Warsaw Uprising Museum – Unfortunately I didn’t get any good photos because it was dark. But this experience was absolutely moving. It was one of the best museums I have been to. This museum is dedicated to the efforts of the Home Army (the small army of Warsaw citizens) who fought the Nazis during a 63 day campaign in 1944 as the Russians approached the city, pushing the Nazis back. After taking Warsaw, the Russians provided very little support for the Home Army and arrested many of their members. Leaders were imprisoned, many never to be seen again. The Russians downplayed the role the Home Army played in the battle for Warsaw. And much of what the Home Army did was not acknowledged until after the end of the Cold War. That’s all for now. I hope everyone is having a great week! Every December, my wife and I write down personal goals for the upcoming year. We sit down, discuss them, write them down, and then at the end of the year, we look at what we wrote down and honestly assess how we did. This year, I thought I should write down my 2014 goals as an educator. By sharing them, I 1) hope to hold myself more accountable at the risk of facing some serious cognitive dissonance 2) hope it will inspire some people to write down their goals, and share them. If I think about it,I’ve been teaching at the university level for 7.5 academic years (including 4 years of autonomous teaching as a grad student TA). I love teaching. I feel very blessed to have found my calling. As I’ve gotten further along in my career, I’ve taken on new responsibilities that have taken time away from my ability to really focus on making my classes outstanding. I want to make sure that as I add more years of experience under my belt, I don’t lose sight of why I am in academia: the students. In 2014, I want to make a conscious effort to keep putting my students first as I take on new responsibilities outside of the classroom. This is also related to my growing years of experience mentioned in #1. As I’ve gotten older, I’ve noticed the differences between myself and my students are growing in terms of life experiences. For example, a few years ago students easily got cultural references I made to things from when I was growing up. Nowadays, I make movie references or mention musical artists and am greeted with blank stares. Anyone who has taken a class from me, knows that I love teaching and love learning, and seek to make the classroom environment fun and engaging. But, creating common ground on common experience is becoming more challenging. Of course, I could learn more about what students are watching, listening to, etc. – it isn’t too hard to chat with students and learn about what they’re into nowadays, that’s not what I’m getting at. I suppose I wonder in what other significant ways my getting older could create distance with my students. As time passes, am I having a harder time relating to the way young adults see the world, and what matters to them? When I started teaching, I was a grad student in his mid twenties – a fellow student living in college housing. My life is much different now. Since I started teaching, I’ve gotten married, bought a house, started planning for retirement, many of my friends have started families, etc., etc. While these things in and of themselves are great, with each year my day to day life and experiences are increasingly different from that of my students. So, in 2014 I want to make a conscious effort to be aware of that and to make a real effort to put myself in the shoes of my students. That includes, being sure to see things from their port of view, trying to reflect on how I thought, what concerns I had, what my priorities were, and how i felt when I was their age. In short, I want to make sure I stay young at heart and continue to be compassionate and mindful of the world of a college student. I am a bit of a perfectionist and a bit obsessive when it comes to my class. I want each class period to be perfect – right down to the order in which I present little bits of information. (I’ve found saying 1 thing before another can have a dramatic effect on how students react to information sometimes. I know. It is probably a bit over the top). When I started teaching, I would go to my office after each class and make notes on how the class went. If I felt a major change was needed, I would readjust a lesson. If something little needed to be done – say, we should have had a discussion about X, or I should have asked Y question, I’d make note of that. Then, I’d then update my binder so that the next time I taught the class, the improvement was made. However, as I’ve gotten busier, I’ve not kept up this routine. Instead, I’ve either 1) made a note to work on the fix over winter or summer break, or worse 2) forgotten about what I wanted to do to improve that particular class and hoped I’d remember the next time around. While #1) was better than nothing and sometimes gave me time to come up with new ideas that were great, sometimes because time had passed, I lost the advantage of having the problem fresh in my mind and thus my ability to create a real improvement to the class was diminished. Of course, #1 was better than #2. When i did #2, I often never remembered to make the change. Then I’d be teaching the class again and be kicking myself. While I’ve learned to be a bit more flexible, I do want to get back to taking the time to reflect on my classes and make more immediate adjustments after a class if I think something should be presented differently. So goal #3 is: Rather the putting it off, spend time after classes when needed to plan changes to things that didn’t go as I had hoped. This is less of a goal and more of a “somethin’ I gotta do.” But still, it is a new challenge and an area I want to really do well in. As you know, I created the Strategic Communication concentration in the Department of Communication at Shepherd. I’m going to be building an assessment plan for the program. Assessment is something I haven’t done before. So i am excited and nervous about it. I’ve created a plan for my Writing Across Platforms class. So I’ve got a start. But the planning and execution of assessment is a big project for 2014. So, creating a complete assessment plan for my concentration and beginning to assess it is a big goal for 2014! Lastly. I know we get stressed at our jobs and that this is a challenging time for academia. I love what I do. And I’m so thankful that I get to do it. But sometimes, we get so busy and so focused on what we need to get done, or stressed about a project or a deadline, we lose sight of how lucky we are. In 2014, I want to really make an effort to keep on the top of my mind how thankful I am to get to do what I love every day and to work with amazing students and professors. Thanks so much for reading my blog in 2013. It has been a wonderful year. I’ve learned so much and had so many amazing experiences in my professional and personal life! What are your goals for the upcoming years? Have you dealt with the items on my goal list – and if so, what suggestions and advice do you have? Cheers! I wish you a peaceful and prosperous 2014! Last week, my social media class had the wonderful opportunity of having Nate Bagley as our guest. Who is Nate Bagley (@bigbags)? Nate currently runs the Loveumentary Podcast (and blog! ), a podcast that believes “True Love exists… you just need to listen.” The Loveumentary, which seeks to understand true love through interviews with married couples who have found lasting love, has been featured on The Good Men Project, ABC News, Fast Company, and more. Prior to leaving the security of employment to pursue his passion and share it via social media, Nate worked in web, SEO / SEM, and related areas. I want to share a few highlights that stick out in my mind from his Skype with our class. People and brands shouldn’t be afraid to take risk, be vulnerable, and to open up about who they are – Nate said that he learned through his experience building the Loveumentary, that his audience began to really grow when he opened up and was vulnerable and honest about his true feelings and concerns when it came to love. People can relate, they have the same concerns or face the same problems. And that has helped him connect with his audience and build engagement in ways he wasn’t previously able to. Use Metrics to be Responsive to Your Audience – This ties in to #1: When I asked Nate about what metrics are most important to him, he reminded students it depends on your goals. One thing Nate tracks closely on his blog is “time on page.” He wants to make sure people are enjoying his content, and sticking around to read it. He knows that if people aren’t sticking around, his content isn’t appealing to them. If they are sticking around, it is. He can use this knowledge to find out what resonates with his audience, so he can produce more of what works. Find your passion and find a need that you have – chances are others have it too. And if you are passionate about that topic, your chances of success go way up! Students today should be blogging, getting their name out there, and interacting with their field WHILE IN SCHOOL – Nate reminded our class that networking and building connections can be invaluable for the soon-to-be graduate. Students should be blogging, and building themselves on social media he said. In fact, he said he wished his professors had made him blog. We learned a lot from Nate, and greatly appreciated his insight and passion. The Loveumentary is a great project and a great example of using social media to reach people, share a passion, and build an audience by helping others and providing a valuable service. If you’re interested in checking out the Loveumentary (@loveumentary), you can find it on iTunes, and all other major podcast streams, or listen at Loveumentary.com. Best of Luck to Nate and the Loveumentary! I participated in another great Google+ Hangout with social media educators from our social media educators LinkedIn Group! This session’s topic was: 50 Tips in 50 minutes: Social Media in the Classroom. I always take away so much from these conversation and that’s why I love participating in them. You can watch all the great tips in the below YouTube capture of the Hangout with some truly innovative professors and wonderful people: Don Stanley, Jeremy Floyd, Gary Schirr. 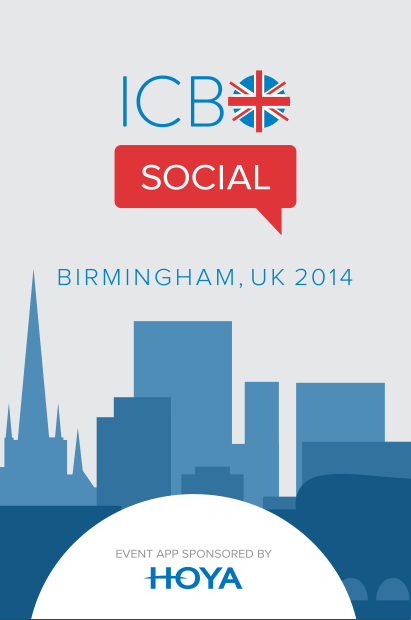 If you’re a social media educator, I encourage you to check out this group! Second, here is a great article by Taylor Loren discussing the potential uses of Google Drive in the classroom. It builds off of my post last week and offers a number of great ideas I hadn’t thought of. I strongly recommend it for anyone interested in integrating Google Drive into their teaching! Lastly, this past Saturday I had the honor of co-presenting with my wife, Kelin, at the 28th annual Student Leadership Conference at Shepherd University (@Leadership_Shep). Our presentation, titled “Leadership, Success, and the importance of other people,” was on the benefits of building interpersonal networks in college and in their future careers. Thanks so much to everyone who attended! A quick post from #aejmc2013 via my tablet. Though there have been many highlights such as seeing old colleagues and seeing creative and innovative scholarship, I want to take a quick second to share one thing that I have really enjoyed. I came across this great infographic summarizing a study by Alhabash, Quilliam and Zeldes from Michigan State at my high density session Thursday on Social Media, Attitudes, and Behaviors (I apologize for the poor photo quality). At high density sessions, presenters are supposed to provide a summary handout of their article. This is a visually engaging way of presenting complex info – making me realize yet another great use of infographics I hadn’t considered. 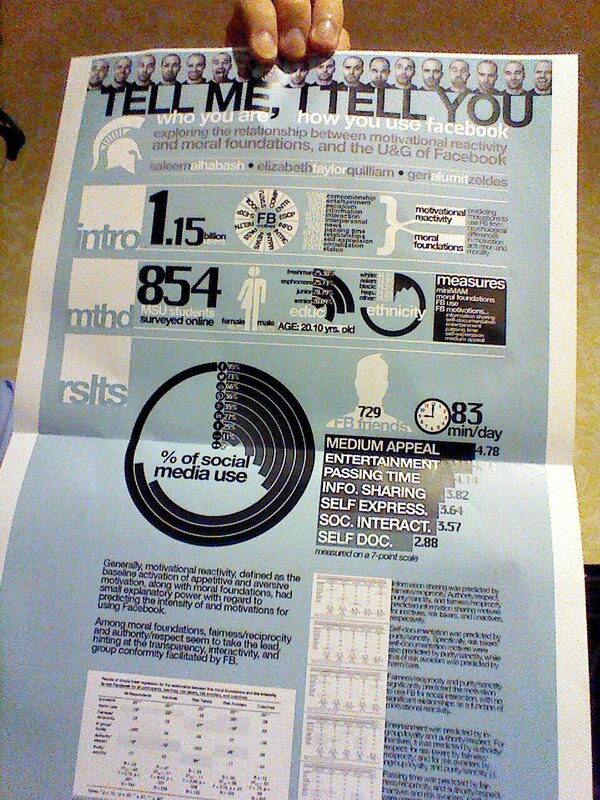 I plan to keep a hard copy to show my social media class as an example for their infographic assignment. Note to self for future conferences: An article summary is a perfect candidate for an infographic. Though I haven’t seen any yet, I imagine an infographic would make for a great poster at a scholar-to-scholar session. This is why I love conferences. As an aside, I am getting no service on my phone at the conference. My apologies for the lack of tweeting! Got to run. Off to the scholar-to-scholar Advertising session at the grand ballroom south. Saw some interesting social media and advertising studies listed in the program!